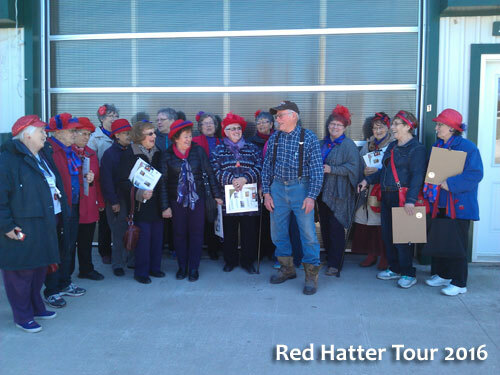 From time to time local groups tour our facilities. Over the years we have hosted Boy Scouts, school students and local groups. Earlier this month Alfred Grubb hosted the Teeswater Red Hatter’s to see how we create our partition systems and locker components (it looks like Alfred was having too much fun…). For information about what we do at Buddsteel Architectural Products Ltd. or if you would like to book a tour by your group give Elaine a call at 519-392-6060.